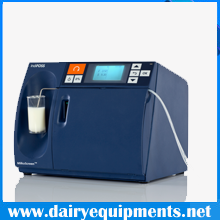 This equipment is specifically used to analyze the certain parameters such as Temperature oC, SNF, Added Water content, Temperature of milk, Ph and Conductivity of a particular milk sample. 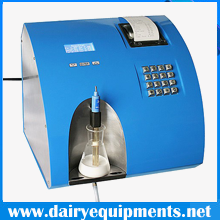 Our Milk Analyzers are designed by our experts and they also supervise the entire production process. We manufacture them with the aid of high quality basic materials and ensure that we incorporate the most updated technology in their production. We also ensure that they are made as per the international quality standards and are also calibrated by our professionals. Our quality control department checks the quality of the products to confirm their preciseness& consistency in offering the results. 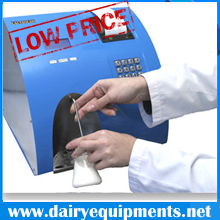 We as the most chosen milk analyzersuppliers see to that our products are user-friendly, easy to install & maintain, portable, compact and consumes power very minimally. These analyzers don’t make use of any harmful chemicals. We offer them at very appropriate prices.